Every year rural preceptors, residents, and health care professionals come together to learn about the latest industry topics and trends. 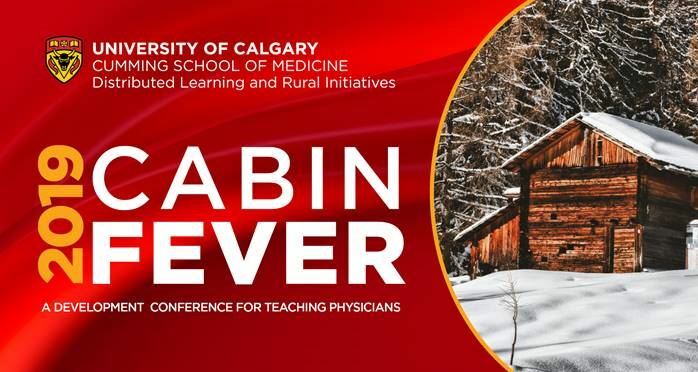 Cabin Fever will take place at the Banff Centre for Arts and Creativity on February 8-10 in 2019. Hear from Greg's Wings, an organization dedicated to addressing gaps in the health care system. Join our keynote speaker to learn about practice in Nunavut, and close the conference with a session on mindfulness practice, plus much more. Register online here before January 4th!